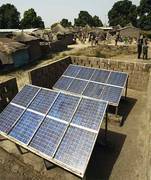 Promote the 100% Renewable Energy Concept to Rural Villagers in Mali, Africa. Mali-Folkecenter's mission is to promote the sustainable management of natural resources and the use of these resources to catalyze local economic growth & sustainable development by working in partnership with rural populations and local entrepreneurs. One of the organization's project is Tabago, an African Solar Village. 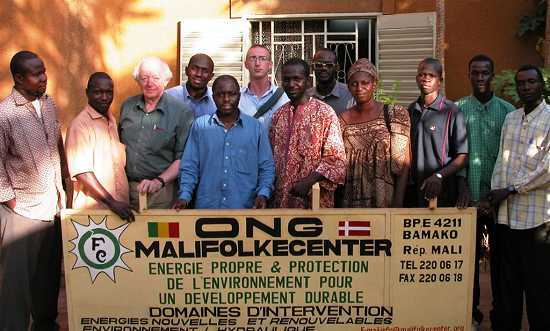 The Mali-Folkcenter helped and supported the installation of solar photovoltaics in the village. For instance, solar panels light a maternal ward in the local hospital. The center also offers a training program for farmers, and it has recently launched a micro-credit system to allow women to become involved in trading. The center is beautifully featured in the documentary "The 4th Revolution."